Susan Payne brings 29 years of experience to her work as a Sr. Visual Manager at Talbots, Inc. She began her career in the Talbots Management Training program in 1991 and worked briefly in stores in Washington D.C. and Costa Mesa, CA prior to moving to the corporate office to work in the Visual Department. She was responsible for opening new stores, training, fixture and store design, and assisting the buyers in the concept phase of product development. 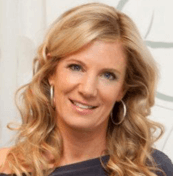 From 1995 to 2007, Susan was instrumental in building and expanding the role of the corporate Visual Department as the Director of Visual Merchandising for Stores in the United States and overseas in Japan, Canada and the United Kingdom. In December of 2007, Susan left Talbots to purchase Crossing main, Inc., a small chain of upscale women’s clothing boutiques. In 2008, she added a shoe store to the mix in addition to the stores in Marblehead, Wellesley and Hingham. Her responsibilities as the sole owner of the corporation included researching lines and buying for the chain, managing a staff of fifteen associates, creating a website that offered online purchasing and marketing and business analysis. In 2014, Susan returned to Talbots to assume her current role. Susan began volunteering at Lovelane in September of 2015. She owns and boards horses at her home in Milton, MA and she bring this experience to her work there.